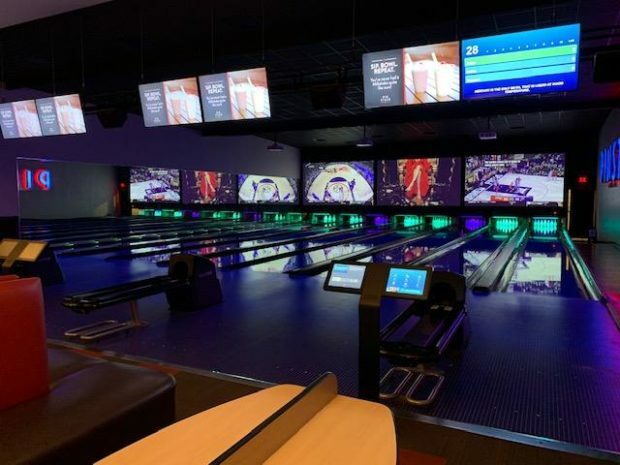 PINSTACK is an entertainment venue that features bowling, rock climbing, laser tag, video games, bumper cars, a high ropes course and delicious gourmet food. It has it all! We were hosted for brunch and had the opportunity to try two of the most popular brunch dishes: Egg’s Benedict and Early Bird Skillet. 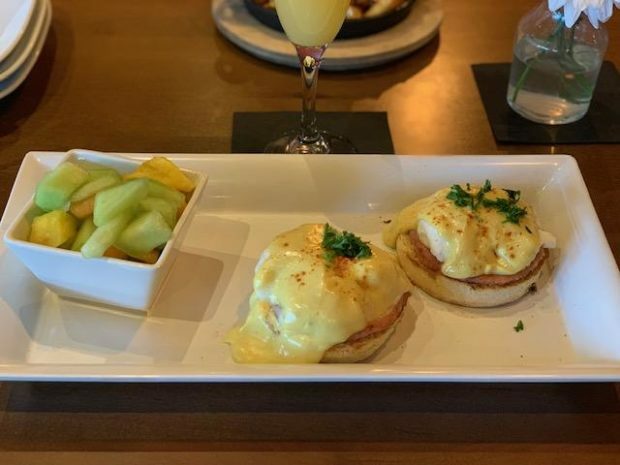 The Egg’s Benedict has a poached egg on top of ham and an English muffin with a creamy hollandaise sauce. It was delicious! 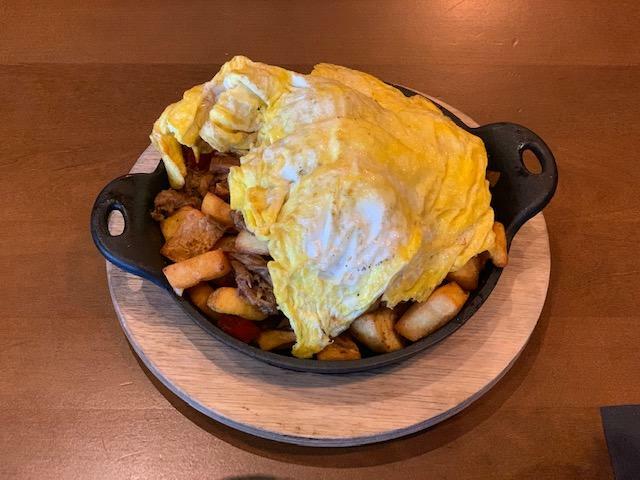 The Early Bird Skillet has skillet potatoes, scrambled eggs, mushrooms, bell peppers and onions in it. It was hearty and filling. 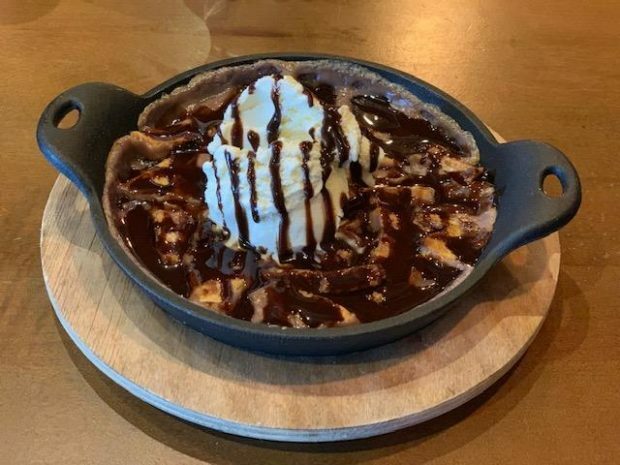 As a special treat we got to try the dessert that will be featured for February. It is a chocolate-strawberry cobbler. It would be perfect for a couple to share on Valentine’s day! After brunch we went and tried out the video games and got to check out all the fun entertainment options. We got set up in the VIP Suite for bowling and had a great time. PINSTACK has 28 bowling lanes with food and beverage service. PINSTACK is the perfect place to spend time with family and friends. They have a large selection of food and drinks, bowling and tons of activities. Don’t forget to check out the brunch on Saturdays 10am-2pm and Sundays from 11a-2pm! Click here for a list of locations in DFW.